Productive allows you to mark certain days of the year as a holiday which means they will be treated as non-working days. You’ll have accurate capacity information which means you’ll know exactly how many non-working days were there in a month. Not just weekends as it was until now, but also Christmas, Thanksgiving, New Years, etc. 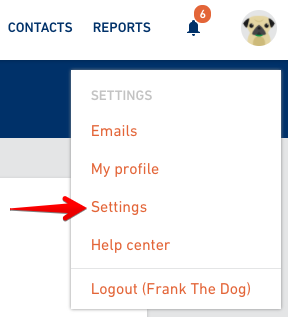 To add new Holidays, go to your profile and select Settings. 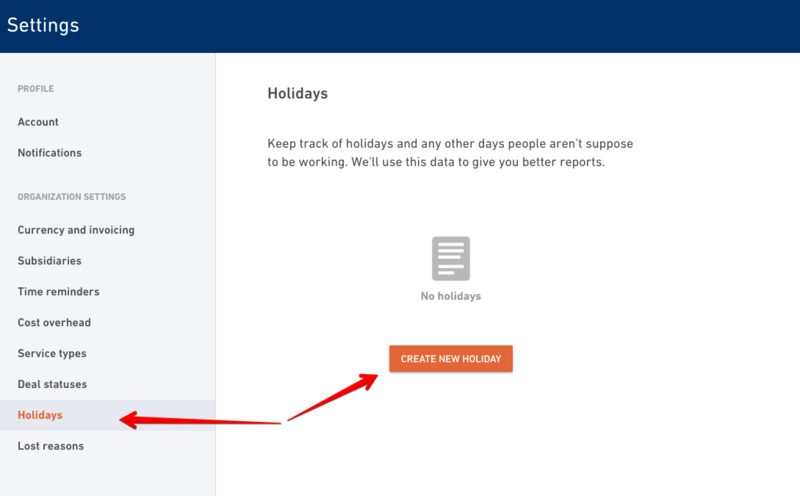 Select Holidays from the menu and click on the Create new holiday button. Add all the holidays when you’re company is not working in the near future. Put down the name and a date and add a holiday to a list. If you want to change something, hover over the holiday, click on the name and make changes you need. If you want to delete it, click on the delete button next to the name. .. and in all other calendar views you have in Productive. 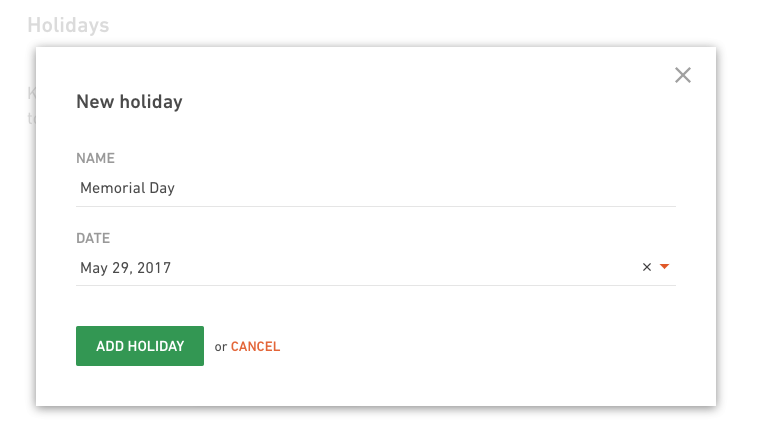 At the moment you need to enter all the holidays manually, but in the future we’ll add an option of importing public holiday calendar for every country.